LG release a 3D ready edge lit LCD TV at a bargain price, but have corners been cut? LG has dabbled with nearly every 3D flavour known to man. The only conspicuous absentee from a list that already includes plasma, direct LED TV and passive LCD is edge LED, something now put right by the 47LX9900. This set costs £1,300, which seems reasonable for a 47-inch, 3D-capable TV that looks great packs and packs a fearsome set of specifications.Hopefully, this ostensibly attractive price hasn't been achieved at the expense of picture quality. Elsewhere in LG's expansive 3D stable you'll find the 60-inch 60PX990 and 50-inch 50PX990 plasmas alongside the impressive, direct LED LX9900 series. 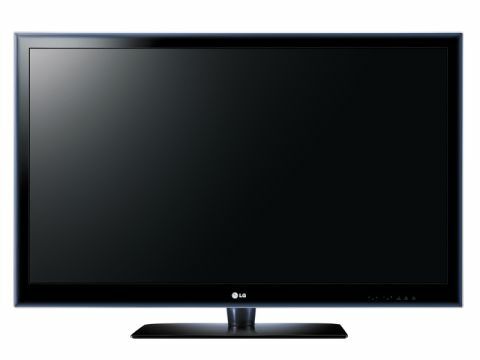 The sole passive 3D set – which doesn't deliver 3D in HD – in LG's range is the 47-inch 47LD950 and is really only interesting because it trades 3D resolution for the near-total removal of crosstalk noise, and uses non-electronic glasses that cost mere pence compared to the £100 or so commanded by the average pair of active shutter specs.